Synopsis: At approximately 10:13 pm on /04/10/19 deputies located a stolen Toyota Rav4 with New Jersey tags that had been reported stolen out of Manatee County. Deputies began following the vehicle south on 1st Street near MLK Blvd. and initiated a traffic stop. 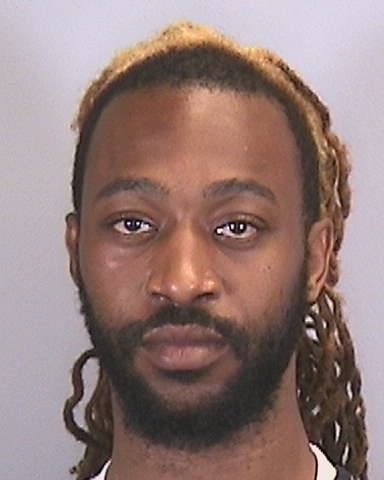 The driver later identified as Artavius Jamaal Foresyth, failed to stop - maneuvering through traffic and fleeing from patrol units in the stolen vehicle. At this point, patrol deputies backed off and the aviation unit took over – calling out the direction of travel which continued south on 1st Street West. The stolen vehicle then rolled up into the parking lot at Firkins Automotive and the driver fled on foot. With the assistance of the aviation unit, he was tracked and located by K9 units hiding underneath a vehicle in the back of the dealership parking lot. During the arrest Foresyth was bit in the leg and transported to MMH for treatment.